That's why I prefer to draw older models... I'll try to do my best to avoid that in the next modern vehicles. Edit: Hey, I've just remade the Vigero. It still have a few mistakes here and there, though. But I hope it looks better now! But since it's just a vehicle idea, if turned into an actual model, it could have the older rear light designs! @D4RKN06 I've just remade the Vigero's rear lights based on both original sketch and the current Dodge Challenger rear lights! Hopefully they look better now, hehe. 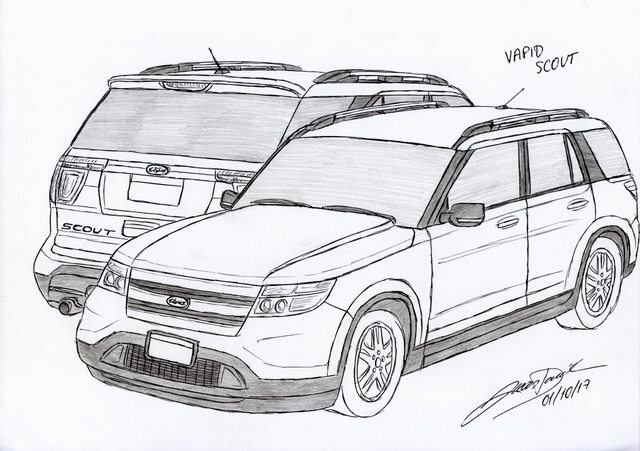 About the Vulcan Larson, I was going to make it as a station wagon like @Randoom. idea. 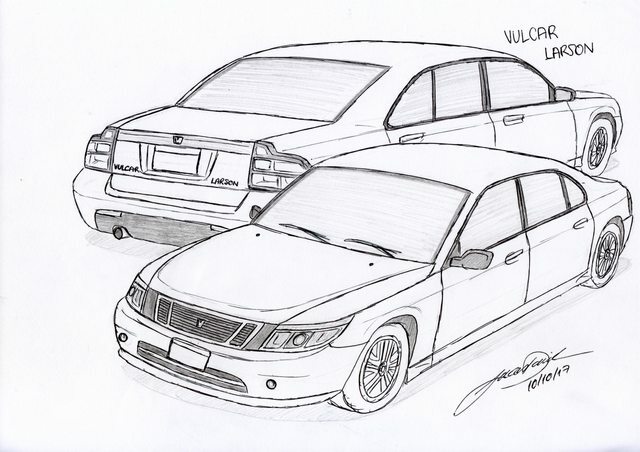 However, since it's branded Vulcar (as both SAAB and Volvo are swedish manufactures) and there's already a Vulcar wagon in-game (the Ingot), I've decided to turn the Larson into a sedan. 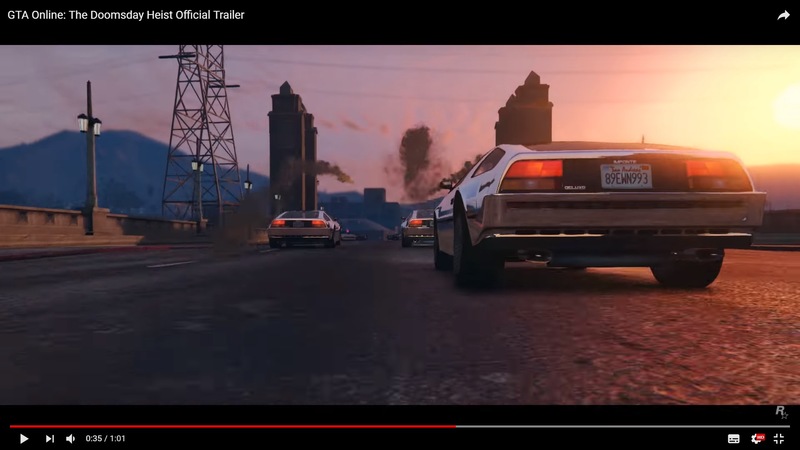 The Deluxo is finally coming to GTAO! And branded as "Imponte", just like my sketch idea! Can I hope for a civilian model? 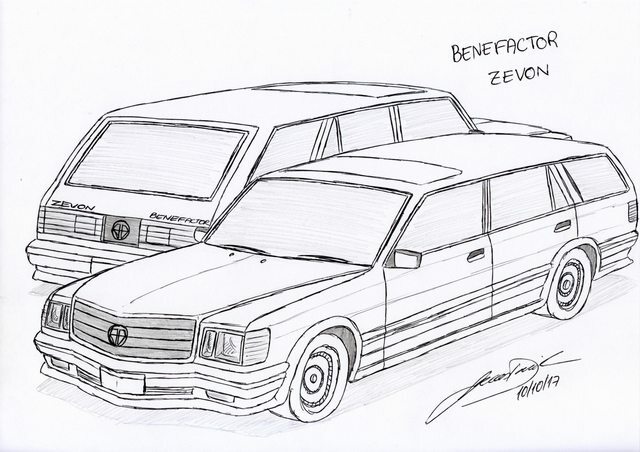 I was very surprised to see that three of the cars that I made sketches some months ago, been added in this latest update! 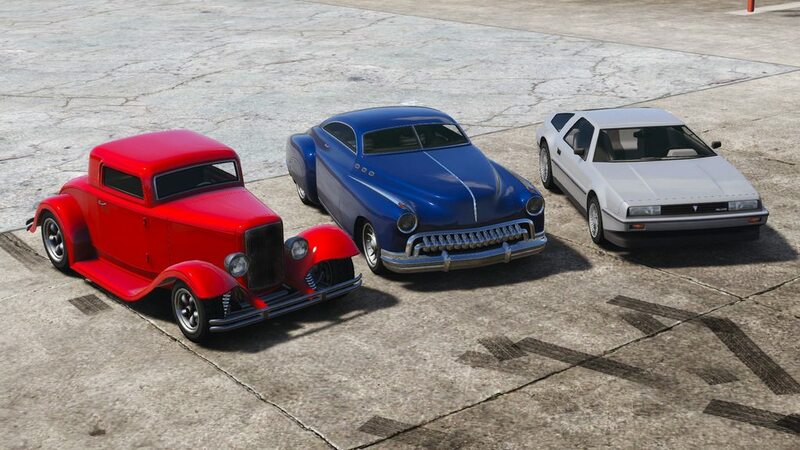 Imponte Deluxo, Albany Hermes and Vapid Hustler! I'd rather keep the Hermes as a Dundreary model, though... Oh well, at least they finally brought it back! And, of course, thank to the great lore-friendly modders, we have a civilian version of the Deluxo! Happy New Year for everyone here at GTAForums!!! I wish all the best for each one of you! I've been busy lately, that's why I haven't posted anything in a while. But sure, I'll continue with my work! But what's the point when the Deluxo we already have looks like a civilian model already? SilentSoul, your sketches are incredible! I look forward to what else you come up with. 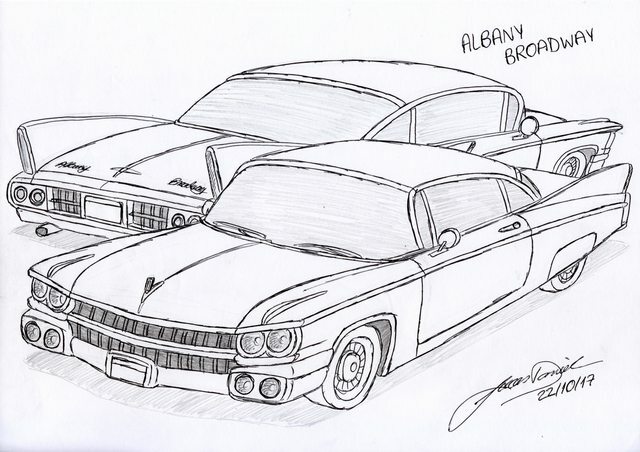 If I may ask personally, I am a big fan of classic muscle cars from the 60s and 70s, and older classics from before that. I subscribed here, so I can't wait to see what else you draw up! Ahh, I do love classic cars as well! 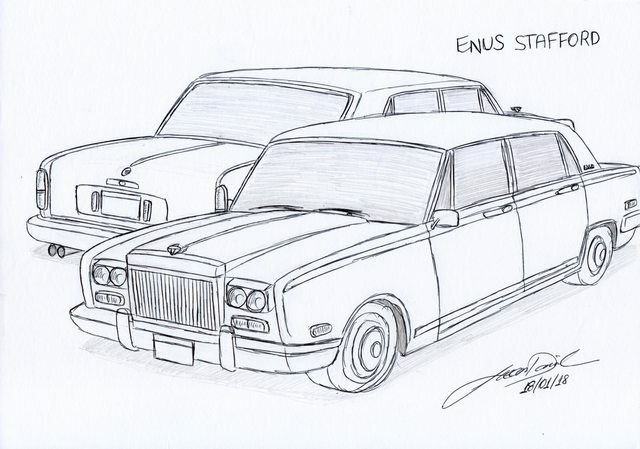 Many of my next sketches will be classic vehicles, that will be coming in the days/weeks ahead! If you have any suggestions, just let me know and I'll see what I can do! How do i get able to add images here ? It isn't hard to post pictures here! 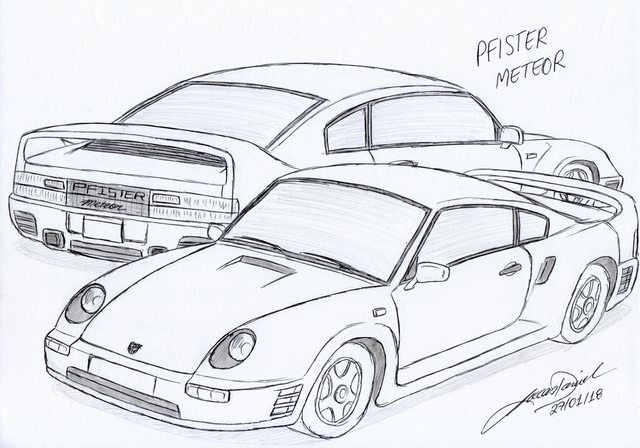 I like the Porsche 959 a lot, so I wanted to make a Pfister car based on it, along with bringing another classic name from GTA2. 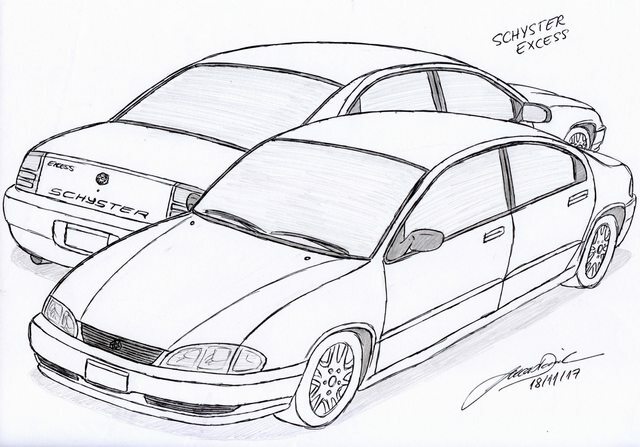 That's not a bad idea, although I would do it as another variant of the Comet. Exactly! 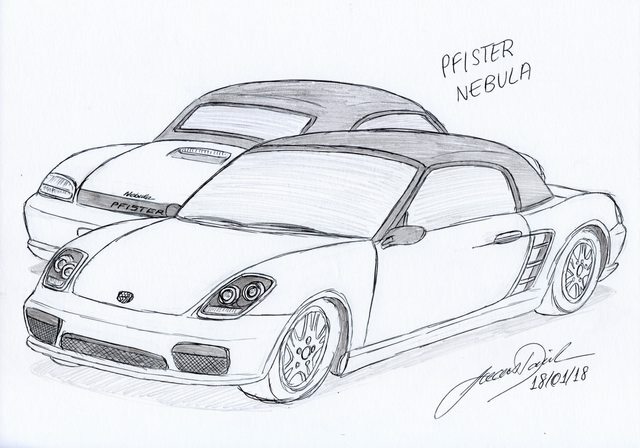 We need more Pfister models in the game! 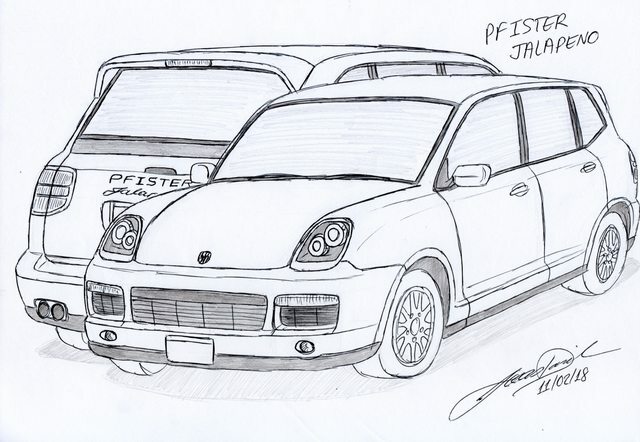 I was thinking in make a model based on the Porsche Cayenne called "Pfister Jalapeno". It's going to be similar to the Obey Rocoto, just like how both Audi Q7 and Porsche Cayenne share their platform and chassis. Maybe I'll do it and post it in the next few days. 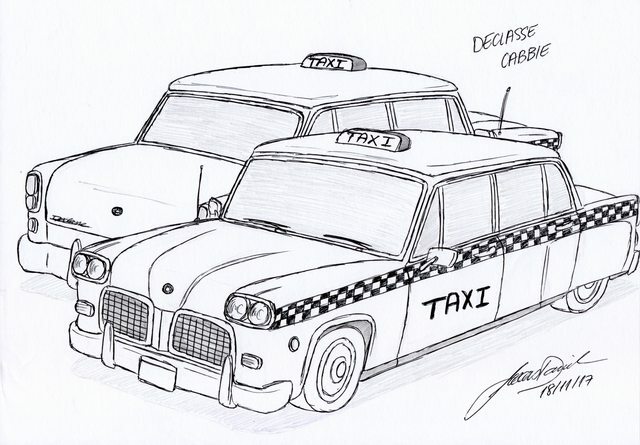 About the Cadrona, it's a nice concept and ehh... DID YOU MADE THAT DRAWING?! It looks fantastic! 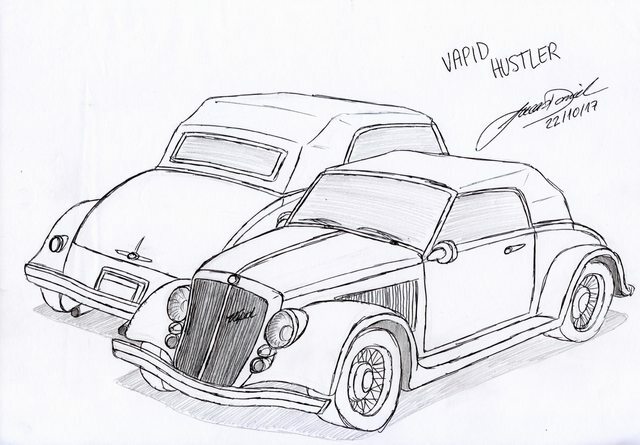 Yes i made, thank you so much , I was trying to follow your style on making characteristics of real cars mixed with R* designs. About the Rocoto, i really dont know why they badged it as an obey, disappointing in my oppinion. I think nowadays the game need more common cars, like proper civilian cars, no one will buy them but makes the world feel more realistic. 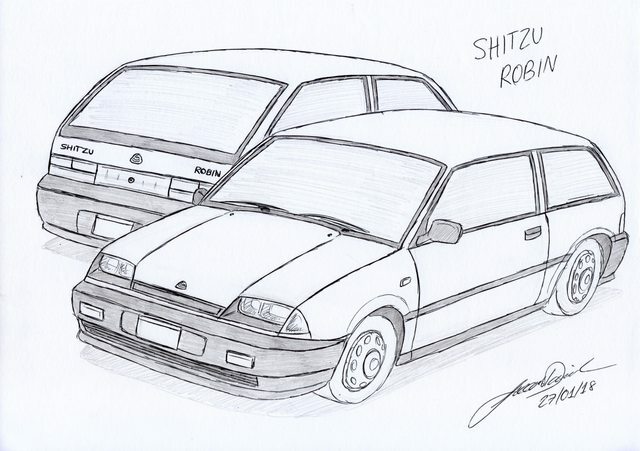 I think they tried to do this adding the streiter and maybe the neon and revolter, although the revolter is an ultraluxurious sedan, which isnt something common... Even with these 3 cars isnt enough, we needed a lot of them, is boring to go online and see dozens of habaneros and any new NPC car on the road, they are always the same. I will try to bring another models to show here, you spent too much time alone making these concepts its time to have some competition HAHAHAHAHA !! 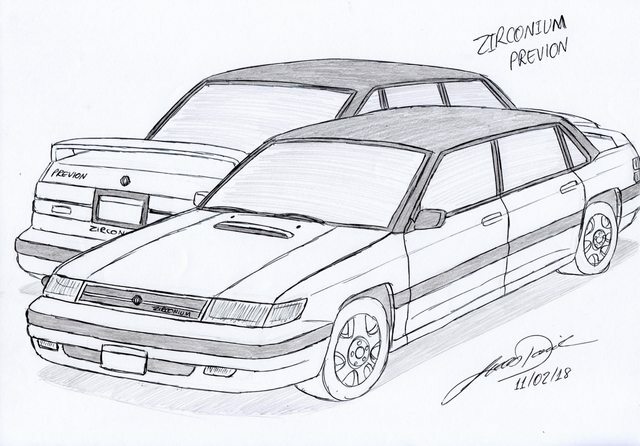 Can we see a 22b subie? 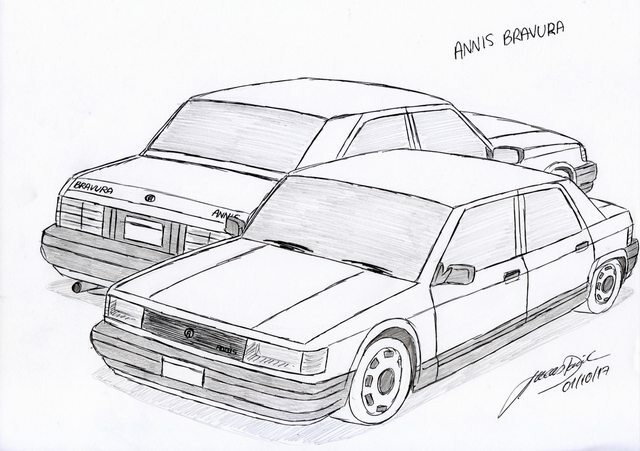 ^ That's a good idea, that could be a "RS" version of the Karin Sultan Retro I made some time ago... Maybe in the next bunch.